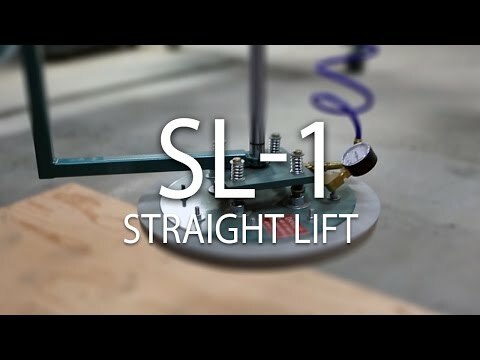 The SL-1 Straight Lift is designed to lift doors and smooth materials for re-stacking or to move them to other processing equipment. With a lift capacity of 200 lbs. and vertical travel of 55” the SL-1 is a versatile material management solution for a single operator. 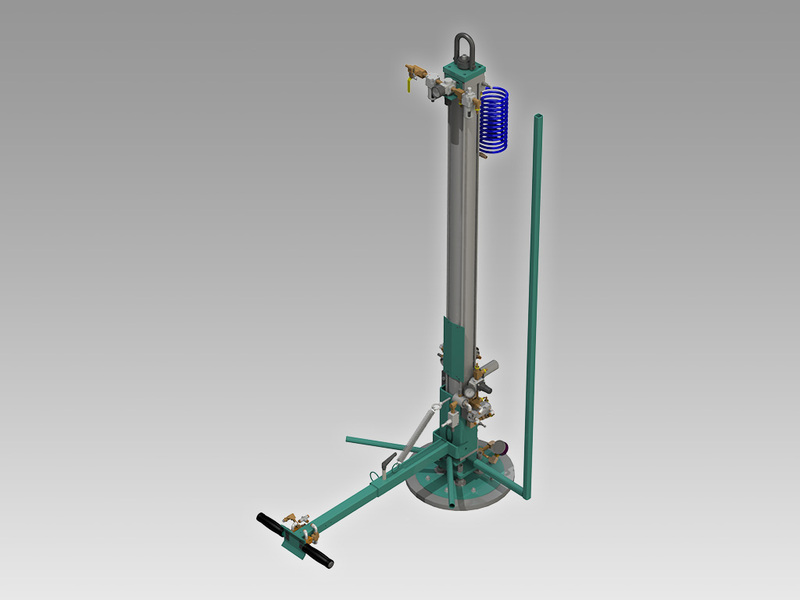 Simple thumb-operated controls turn the vacuum on or off and control the height of the lift cylinder, the handle telescopes in and out 14” for wide or narrow doors and is controlled by simple a wing lever. The SL-1 is entirely air operated and requires no electricity.